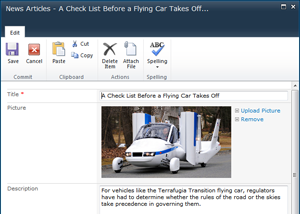 Sparqube Picture Column is simple and intuitive component for uploading and displaying images in SharePoint lists. Item display form will show images with predefined size limit. 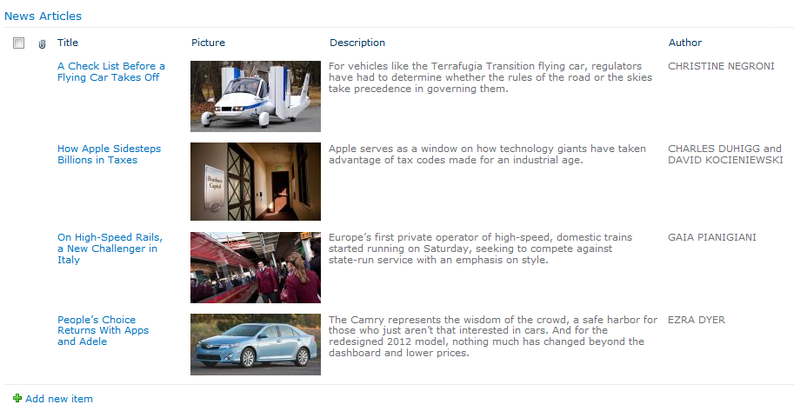 Sparqube Picture Column is everything what "Hyperlink or Picture" column should be. There is no need to upload pictures to image library manually, copy and put image link into URL textbox of "Hyperlink or Picture" column of an item. Simply choose desired images on your computer and upload them. 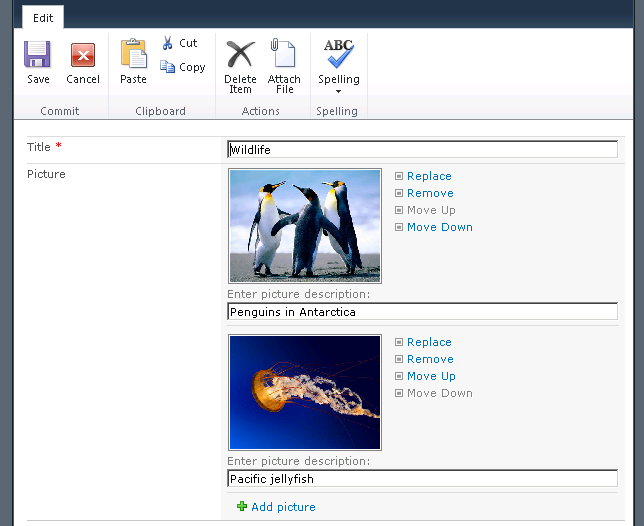 New unique features allow attaching multiple pictures to one list item, easily manage them by intuitive UI and display them in jQuery lightbox which makes IU experience even more than pleasant. 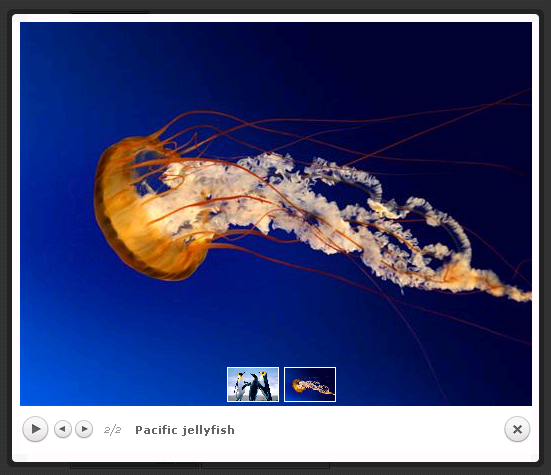 Lightbox can run in carousel mode similar to picture slideshow. Text description can be added to each picture, and it will be shown in lightbox along the picture. With popularity growth of social networking and using SharePoint as public-facing Internet portal platform there is the need to share images with friends, colleagues and business partners. 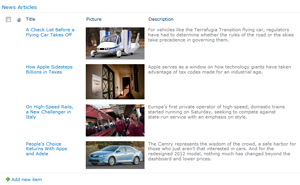 Sparqube Picture Column achieves such goals by leveraging AddThis services to add transparent sharing functionality. Since Sparqube Picture Column is popular and loved by our customers, we've decided to make it even more accessible to general public. We are proud to present Sparqube Picture Column Lite which is a younger brother to Picture Column. Full feature comparison chart can be found here. 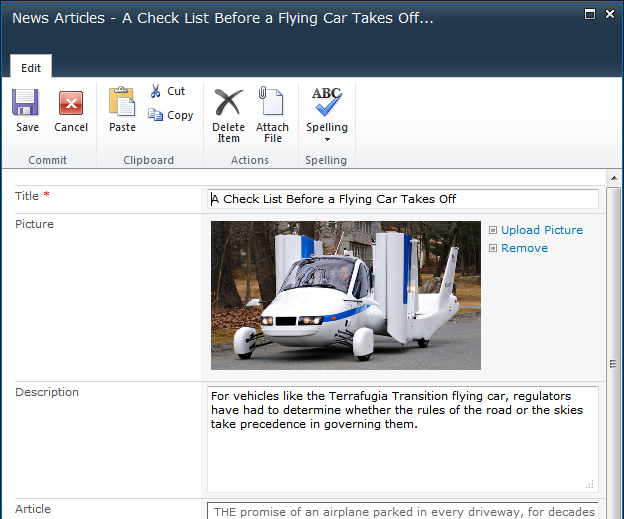 Picture Column Lite is completely free and is distributed under open-source license. Project is hosted and can be found on Codeplex along with ready-to-install downloads and source code.